On Monday we looked at makeover ideas and inspiration for our bedroom redesign, and the housemate came back with a decision. While the oh sooo soothing and serene beach vibes from the all white look got a thumbs up in theory, apparently in reality living in a very white, clean space would not be compatible with my OCD issues. 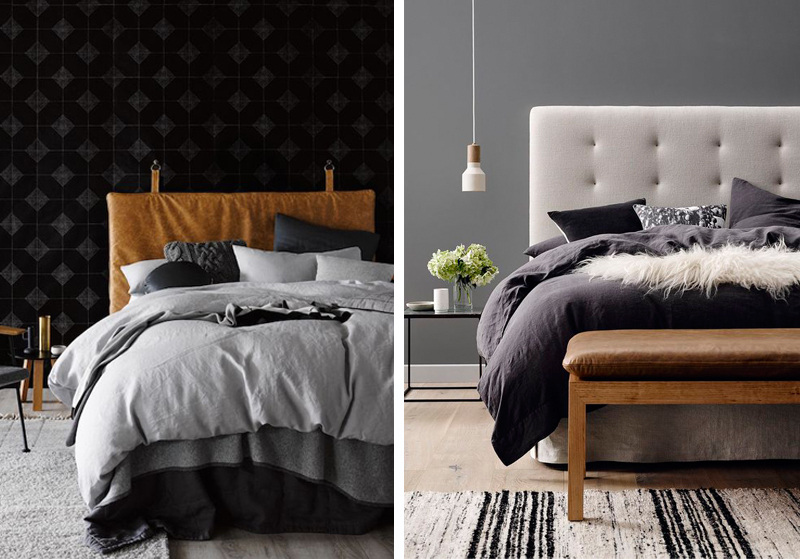 So dark and moody bedroom space it is. 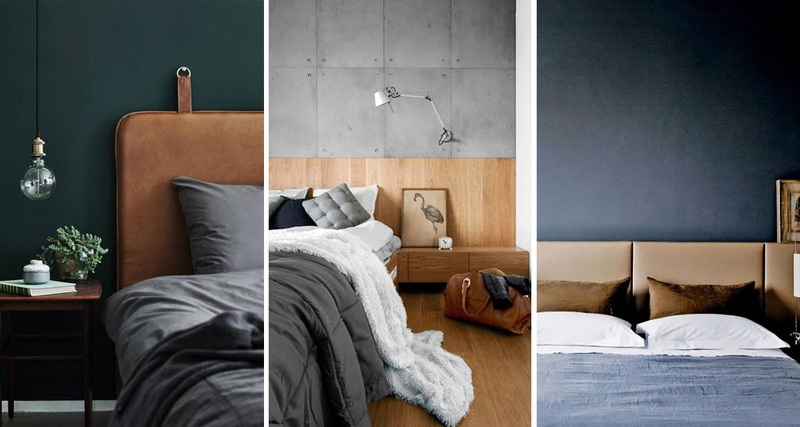 Today we’ve take our inspiration images and shown you how to get the look at home, working across 3 different budgets. 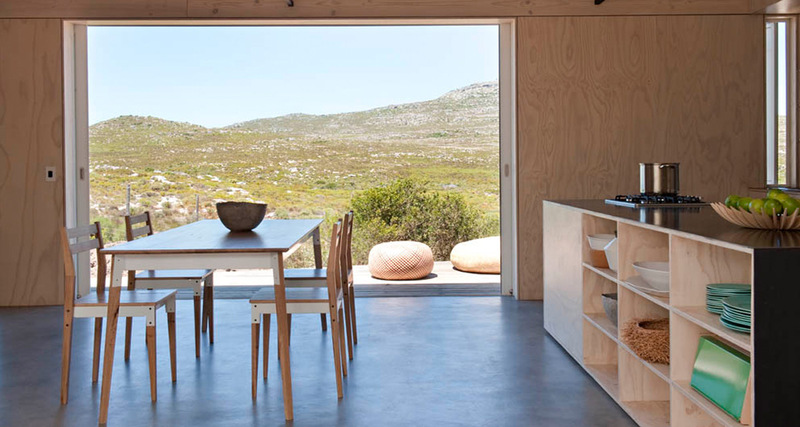 As always we try to source from local South African retailers so it’s easy for you to go out and get the look at home. We used Plascon Dark Onyx (42) paint for the walls and opted for a wide wood flooring with a grey wash over concrete flooring, which ultimately came across as too harsh. 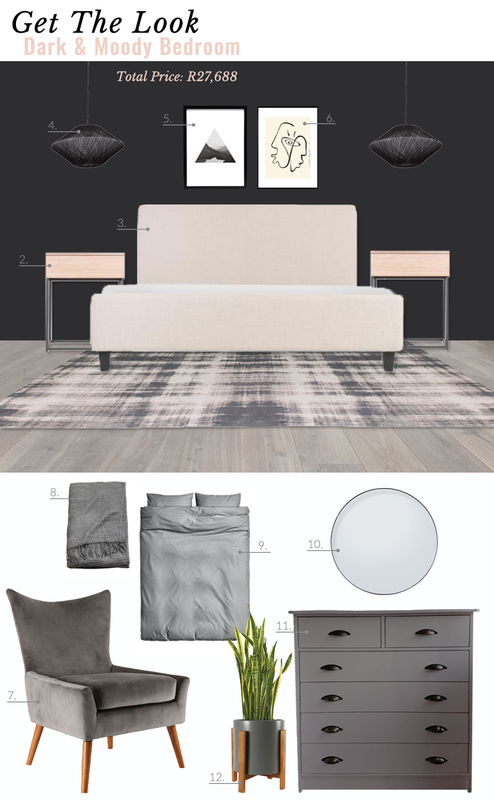 Starting off with our budget room, I love that this look has a slightly more feminine edge thanks to the softer cream of the bed frame and light wood bedside tables. 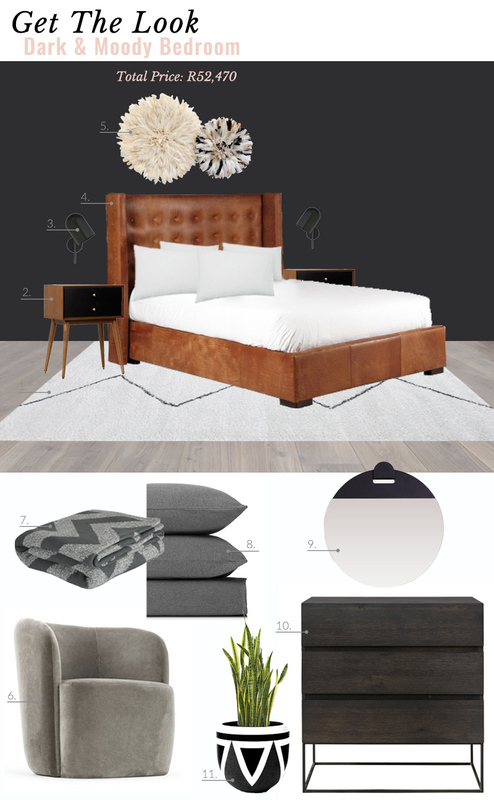 Our mid-range budget ups the drama with the juju hats above the leather bed. 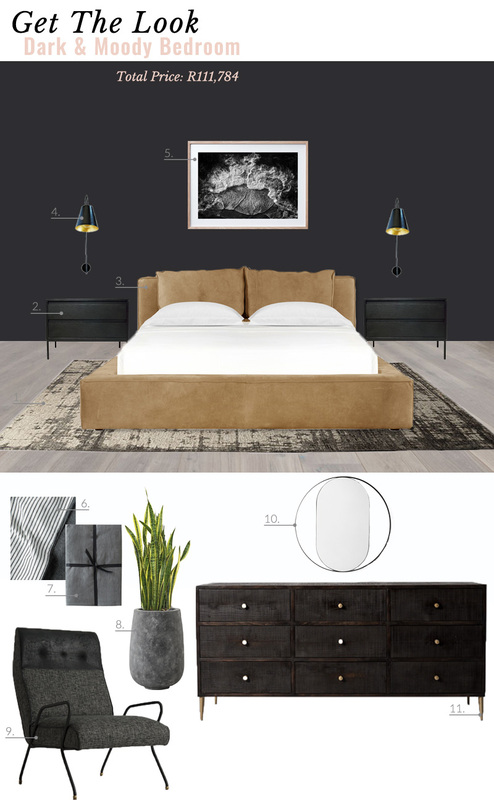 The rest of the space is chic and contemporary using minimalist style furniture, while sticking with grey and black accent pieces. The lighter coloured rug softens the space out. 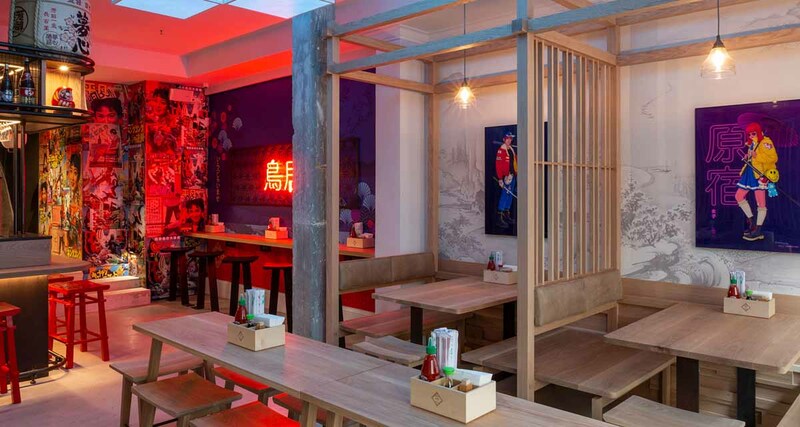 Of course I love the luxe room, pushing way past budget boundaries for many of us! The clean and contemporary lines are really brought home with these selection of pieces. 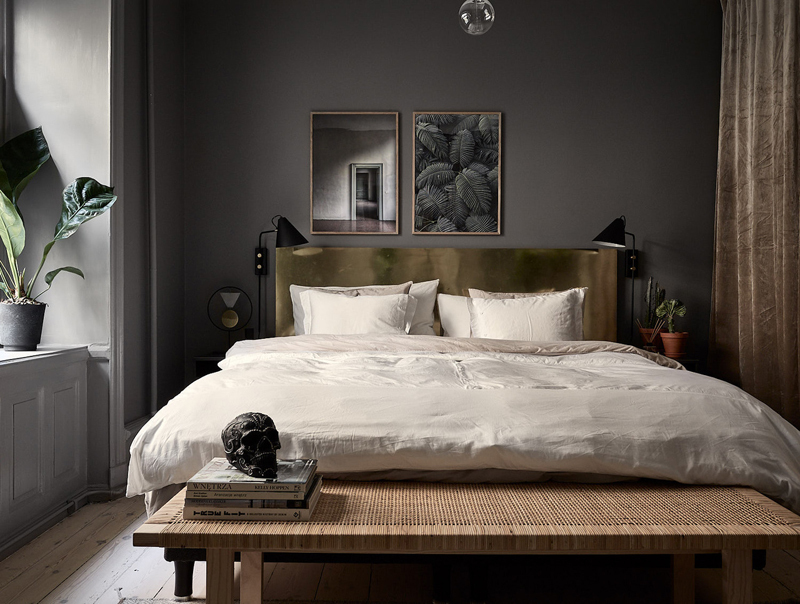 Like in the other designs, even though the bed is lighter in colour, the overall feeling in the space is still dark and moody.